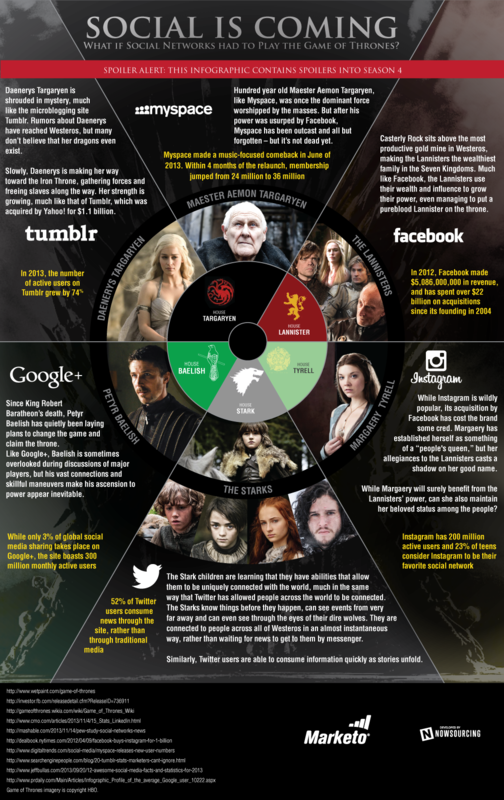 Author: Maggie Jones If you’re marketing on social, the rises and falls to power on Game of Thrones are all-too familiar. Social networks rise to the top, only to be acquired by Facebook or bested by a competitor. Long-established power players can be wiped out in a single investor battle; virtual unknowns become household names practically overnight. Just when you think you know which social network is king, someone new is on the throne. Finally, just as in the Game of Thrones series, certain themes endure regardless of who sits on the throne. Just as duty, honor, and justice are (eventually) rewarded on Game of Thrones, authenticity, humor, and personality are rewarded on social — regardless of which network you market on.